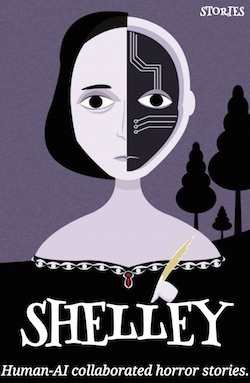 Shelley.ai is an artificially intelligent horror writer; humans contribute thousands of ideas via reddit, and thereby unwittingly participate. Shelley AI is currently working on a different short scary tale once an hour leading up to Halloween. It’s powered by deep learning algorithms that have been trained on stories collected from the subreddit /r/nosleep where people share their own original eerie works. The AI was created by researchers at the Massachusetts Institute of Technology Media Lab. In this case, the AI is the source of the tale, rather than the subject.